I estimate that we have reduced our IT costs by 40% by switching our data center to AWS. WeatherRisk is the leading provider of weather forecasting services in Taiwan. It serves government agencies and has more than 200 enterprise customers, including broadcast and online media. Its core services are weather forecasts and risk mitigation reports that customers use to determine the impact of weather conditions on everything from transportation networks to the sales of air conditioners. WeatherRisk also delivers its services in multiple formats including 3D images and bulletins for TV, which it records in its own broadcasting facility. WeatherRisk offers high-precision weather forecasts. Many enterprise clients want precise information on air conditions or upcoming periods of hot or cold weather in order to carefully plan manufacturing processes or sales strategies. The ability of WeatherRisk to provide precise forecasts is due to the company’s proprietary technology and the huge quantities of meteorological data that it imports from multiple sources, including a Japanese satelliteHimawari-8and a U.S. provider of global and historical weather data. The weather data sets are huge and 150GB can come from the Japanese satellite in a single day. The U.S source generally provides 20GB every six hours. Over time, the large amount of data led to a number of IT challenges at the WeatherRisk data center. While it had around 50 servers as well as storage in place, more capacity was needed. The company wanted to retain weather data for at least 10 years, but it could retain data for 12 months because of storage limitations. This affected the agility of the business because the idea of new services reignited concerns about procurement, power consumption, management time, and security. WeatherRisk completed the all-in migration to AWS with the support of AWS Partner Network (APN) member CKmates. The partner provided training to WeatherRisk personnel to enable them to make the transition and to operate the AWS services. Currently, WeatherRisk forecasting services leverage multiple AWS solutions. 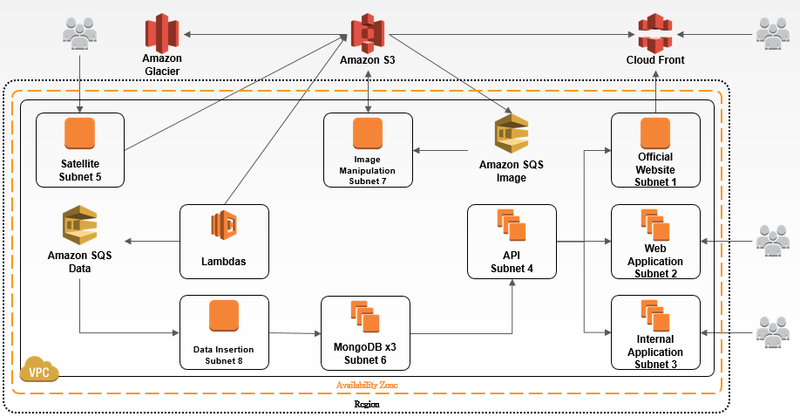 Meteorological source data comes into Amazon Simple Storage Service (Amazon S3) and then is downloaded by AWS Lambda and processed by WeatherRisk clusters running on Amazon Elastic Compute Cloud (Amazon EC2). 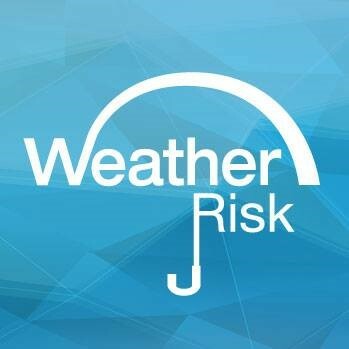 Additional Amazon EC2 instances along with Amazon CloudFront and Amazon Relational Database Service (Amazon RDS) support the WeatherRisk website, and Amazon Glacier provides long-term storage. Besides improved flexibility, WeatherRisk has significantly reduced the costs of its IT operation and it is more economical to use AWS than procure, power, and manage an on-premises solution. “I estimate that we have reduced our IT costs by 40 percent by switching our data center to AWS,” says Marvin. The advantages of an all-in AWS solution for WeatherRisk go beyond cost savings, though. Marvin identifies the sizeable improvements in IT performance which in turn are helping WeatherRisk deliver better services while encouraging the organization to build new solutions and develop new markets. The company can now store data for at least 10 years, giving it more historical data on which to create its forecasts. What’s more, Marvin describes how much easier it is to download meteorological data from key sources and begin processing the information once it arrives. “We can download files from our meteorological data source in the U.S in no more than 20 seconds. Plus, with parallel downloads in AWS, we can download everything in a couple of minutes. Before, it could take us three days to download this amount of data to our data center,” says Marvin. Furthermore, WeatherRisk can also process data from its Japanese satellite source significantly quicker. “In the past, it could take us 15 minutes to generate a satellite image using our on-premises infrastructure, but we can now generate the same image in 15 seconds with AWS,” says Marvin. Looking ahead, WeatherRisk will use AWS as it integrates new data sources into its forecasts. These sources will invariably be from sensors embedded in everyday objects and connected to the internet. WeatherRisk will use the scalability of AWS to cope with the increased data loads, and the availability of AWS infrastructures worldwide to deliver its enhanced forecasts to customers in new markets. “We are ready for the future of weather forecasting and can bring our products and services to a much wider audience using AWS,” says Marvin. An Advanced Partner of the AWS Partner Network (APN). CKmates specialize in developing LAMP / LAPP, and participate in the customer's network business at every stages. For more information about how CKmates can help your company build and manage your AWS environment, see CKmates’ listing in the AWS Partner Directory. To learn more about how AWS can help your big data needs, visit our Big Data details page: https://aws.amazon.com/big-data/.